For public managers, the principles of public service motivation and employee engagement are something that play a significant impact on organizational outcomes. If employees are not motivated to come to work every day and give 100 percent, the agency will suffer as a result. Motivation and employee engagement are key ingredients in making sure employees feel appreciated and valued in the work they do. It is no big secret that what motivates public service employees is different from the motivational factors of employees within the private sector. In the private sector, employees are traditionally motivated by higher salaries and better benefit packages and play an active role in earning their company increased revenues. Public sector employees are motivated by the willingness to serve the public and the underlying desire to make the world a better place through their actions. 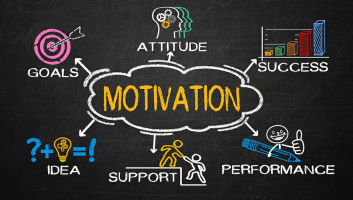 From a management standpoint, it is important to understand which factors have the most impact in achieving high levels of employee motivation and engagement among staff. One way in which public managers can better understand motivating factors is through the application of Maslow’s Hierarchy of Needs theory. 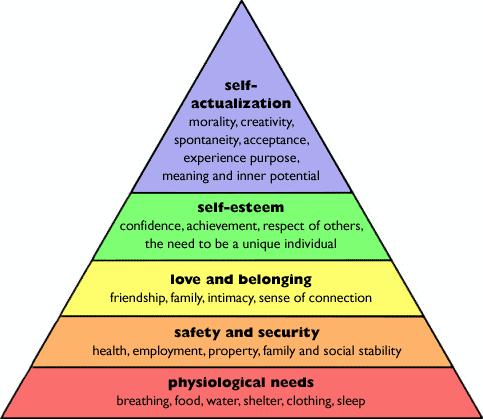 Maslow’s theory held the psychological well-being of individuals was dependent on fulfilling their needs in order of priority. 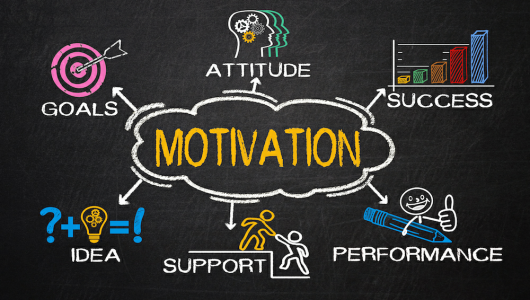 This “needs” perspective of motivation was developed with the belief that individuals must have their own basic needs met to be able to pursue their own personal growth and development. 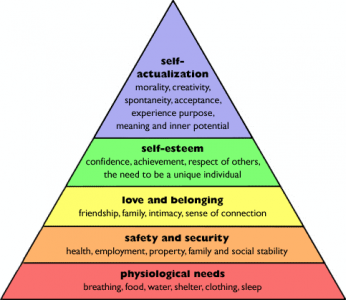 Self-actualization: Under the hierarchal model, self-actualization ranks the highest of all needs. This is the need to reach individual potential and to feel fulfilled within our personal and professional lives. Self-esteem: Includes feelings of self-esteem, accomplishment and prestige. Love and belonging: Includes the need for friendship, love, affection and a sense of belonging. Safety and security: These needs require stability, security, law, order and protection from elements. Physiological needs: Basic needs including food, water, warmth and love. Feeling fulfilled within our professional lives is arguably one of the main motivating factors of going to work every day and doing our best. These traits are the very basis of self-actualization. Employees that are happy, fulfilled and feel like they are doing valuable work make it possible for attaining continued levels of motivation. When employees spend 40 hours a week away from their homes and families and spend it at the office, feeling as if they fit in and are a valued part of the organization are important motivating factors. These esteem needs allow for the employee to feel a sense of accomplishment at their professional achievements and will allow them to take pride in their work day after day. If employees do not feel fulfilled or feel like they do not belong within the agency, it will be very difficult to keep the employee motivated. When an employee does not feel motivated or impassioned about the work they are doing, it can lead to feelings of worthlessness or can lead to the employee questioning their importance within the agency. For those reasons, providing employees with feedback is important in fostering a sense of belonging. This type of evaluative information gives the employees an idea about the level at which they are performing and allows you the opportunity to remind your employees that they are valued and important. The simple act of being employed is a key aspect under the concept of physiological needs. To be able to obtain the basic needs in life, you need money. Employees can obtain the basic physiological needs through having a job, a salary they can pay their bills with, and the sense of financial independence that comes along with it. Public service motivation and employee engagement needs to be the top concern for any agency. If employees are engaged and motivated, they work with energy, enthusiasm and initiative. However, when employees are unmotivated to work, valuable time and energy is lost. If managers do not keep a trained eye on staff motivation levels, they could find themselves in a situation where employee burnout is inevitable. To keep employees motivated, it is important for public managers to remember the ideals of Maslow’s theory and understand the ways in which these principles can be applied to bolster employee engagement and motivation. Very interesting article. I really like how you translated Maslow’s theories into an organizational perspective; very clever! As a public manager for a large human service agency, I can agree with a lot of the points you made within your article. I think that in today’s times, it’s very difficult to motivate employees – especially the “millenials”. Thanks for posting – I really enjoyed reading.